Deborah Hunter loves cooking, loves life, and loves people. 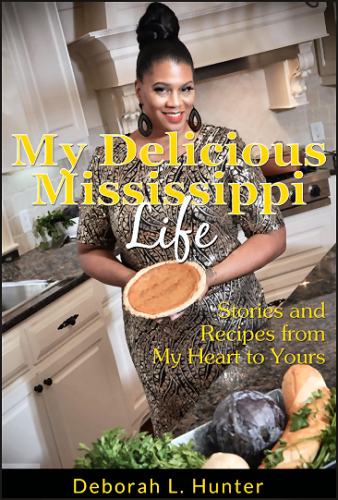 She shares these passions, along with her recipes and personal stories, in her new book, “My Delicious Mississippi Life,” released in June. Hunter also loves feeding hungry people by volunteering with SoSA, and some of the profits of her book are designated to support the feeding ministries of the Society of St. Andrew. Rev. Willie Petty and his wife, CeeCee, began volunteering with the Society of St. Andrew by gleaning fields and picking up excess produce at warehouses. This is where most volunteers start, and where many people find it easiest to be involved. Eventually, the Pettys became field supervisors, leading others by demonstrating proper field safety and field etiquette. They would turn a group of new volunteers into a well-trained team that could make quick work of gleaning that field. It was a hot August day in the Mississippi Delta, but for Eve Priester of St. James United Methodist Church of Columbus, gleaning watermelons meant many hungry children in Columbus would have a special treat that day. Three energetic new SoSA program coordinators are now working with farmers, volunteers, and feeding agencies across four states. All three met for training and to talk with staff at the national office in Big Island, Virginia in April. I don’t often write about our staff because we stay focused on those we serve and all the people who make this ministry possible. But I’ll make an exception and tell you about someone who is just pretty special.